The US Department of Justice is launching a review of how the FBI handled the inquiry into Hillary Clinton’s private email server, and whether public disclosures of the investigation cost Clinton the presidential election, as many have claimed. DOJ Inspector General Michael Horowitz announced the investigation on Thursday, saying it comes, “in response to requests from numerous Chairmen and Ranking Members of Congressional oversight committees, various organizations, and members of the public." The review will examine if FBI Director James Comey violated established procedures when he discussed the Bureau’s findings at a press conference in July 2016, and when he sent Congress a letter about renewing the investigation in October, shortly before the election. Democrats have blamed the October disclosure on Clinton’s narrow loss to Republican Donald Trump in several key battleground states. Horowitz will also look into a number of DOJ and FBI employees who are accused of leaking information to the public, including Assistant Attorney General for Legislative Affairs, Peter J. Kadzik, who reportedly disclosed non-public information to the Clinton campaign. Comey welcomed the probe in a statement on Thursday afternoon and pledged his full cooperation with the inspector general. 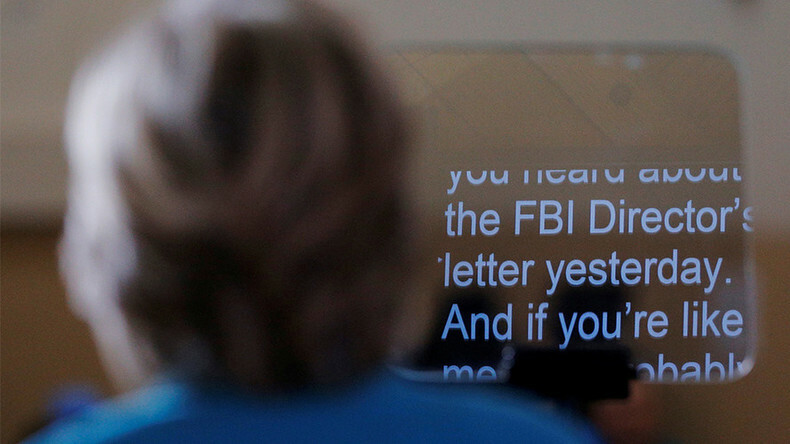 The FBI director had made the unprecedented step of calling a press conference on Monday after the Independence Day holiday weekend, to announce that “no reasonable prosecutor” would bring criminal charges against Clinton in the email investigation. While he criticized the security culture of the State Department under Clinton, Comey said there was “no intentional misconduct,” in using a private server. Outraged Republicans summoned Comey to Capitol Hill to explain himself, with Democrats standing up to protect the FBI director. 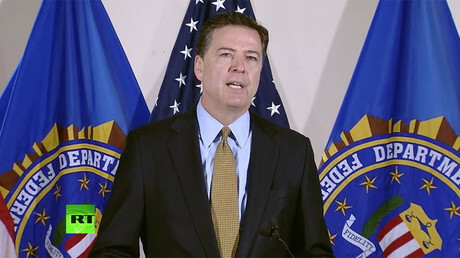 That changed on October 28, when Comey sent a letter to Congress informing them the Bureau was investigating additional evidence – which redacted disclosures later revealed was connected to the computer belonging to disgraced congressman Anthony Weiner, husband of Clinton aide Huma Abedin. By November 6, the FBI had once again concluded that no criminal charges were warranted, and sent a follow-up letter notifying Congress of that. Two days later, Clinton lost the Electoral College vote to Trump, despite being considered an overwhelming favorite by the media. Democrats have since blamed her loss on Comey’s October letter, as well as claims - backed by the FBI, CIA and the Director of National Intelligence James Clapper – that Russia “influenced” the US election through hacking and releasing the Democrats’ internal documents via WikiLeaks. Moscow and WikiLeaks have dismissed the alllegations as bogus.